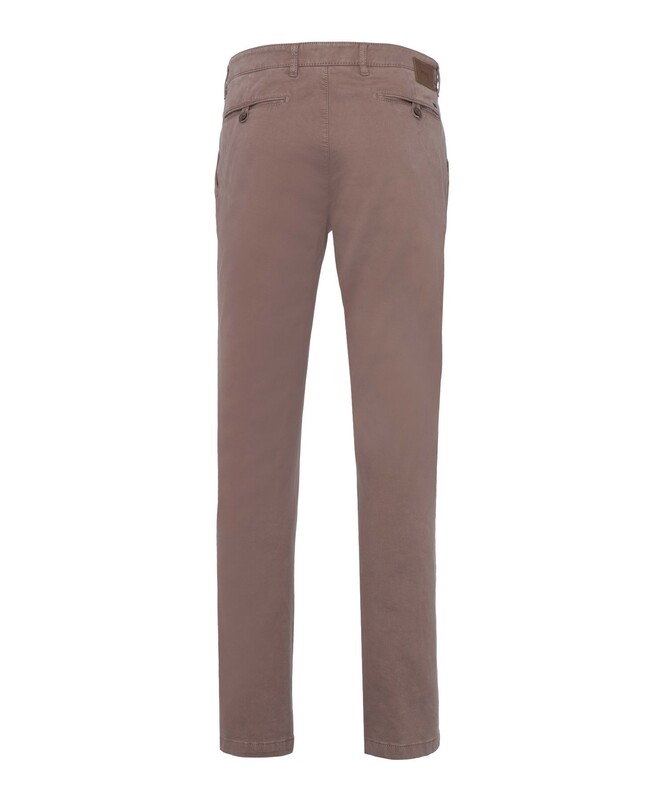 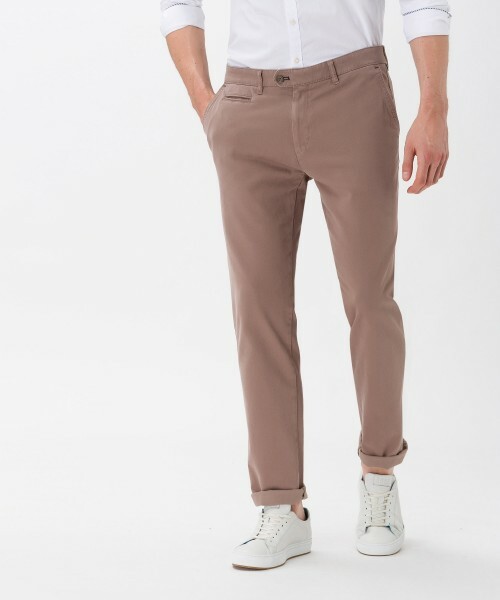 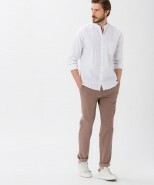 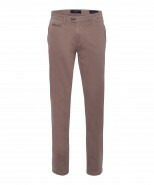 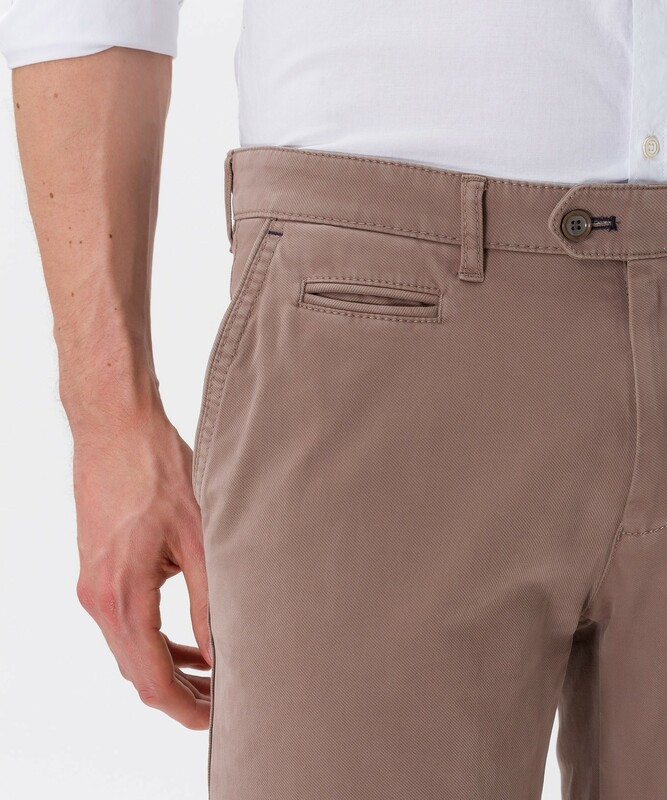 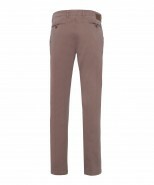 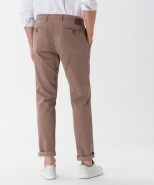 Mens Chinos by BRAX FEEL GOOD. Style – Everest. 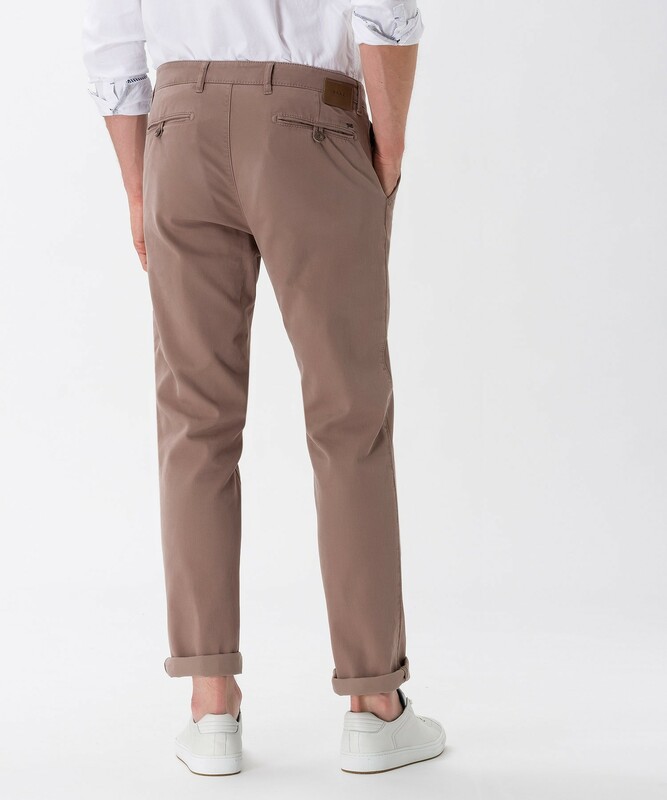 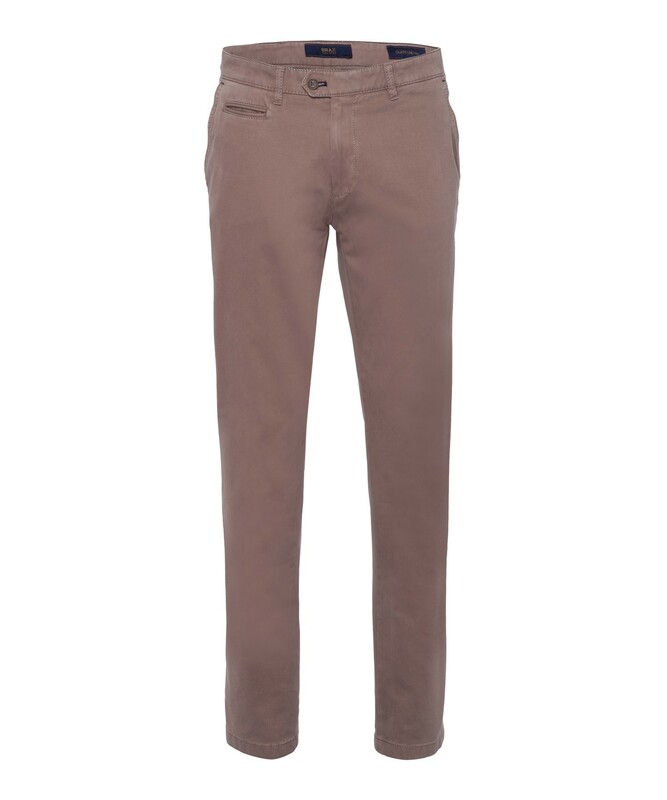 These chino trousers are made from the finest Pima cotton from around the World making them soft yet structured for a smart look. In a modern regular fit with a straight leg, they are stylish yet comfortable for the fashion conscious man. 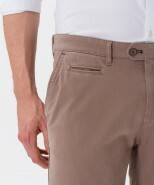 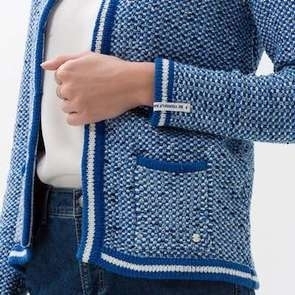 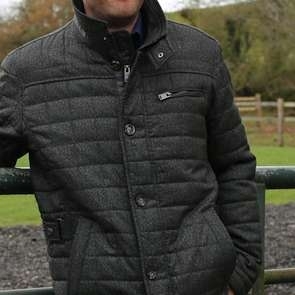 The key to their smart sleek look is in the fine detail such as a discreet logo, French pockets and matching stitching. 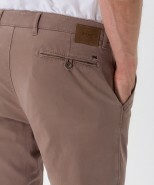 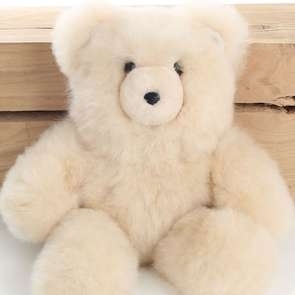 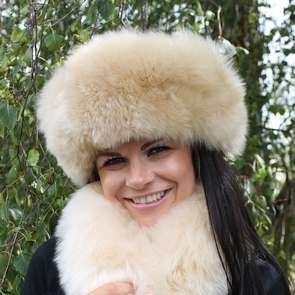 They conveniently stretch for comfort, are easy to clean and are colour and shape retaining too.